This image is from Scrapbook Society. 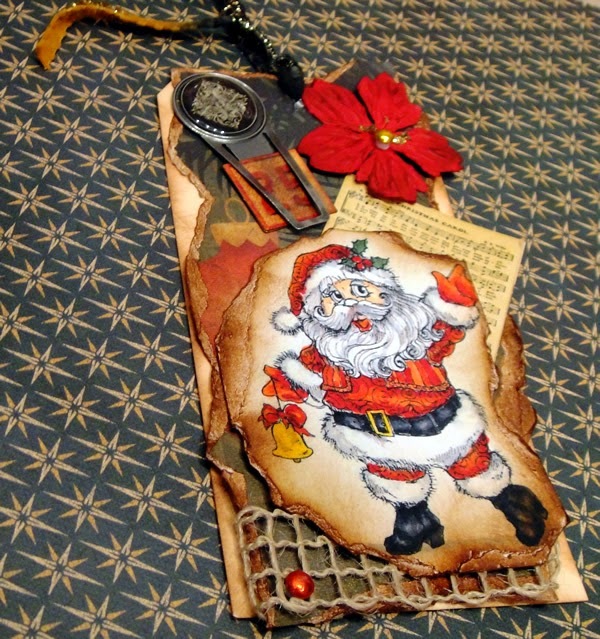 It is my DT entry for anything with wings at Outlawz Paper Ala Mode challenge. I added Wink of Stella to the wings but it doesn't show. 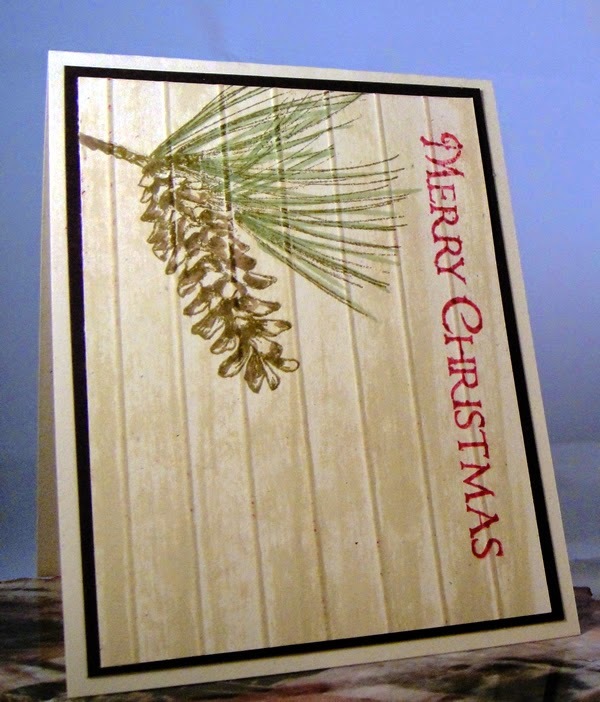 The background around the image is embossed using a diffuser and lightly chalked over the raised parts. 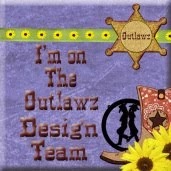 I made this tag for a DT sample at Outlawz Paper Ala mode Challenge. I used a Rick St Dennis Santa image. 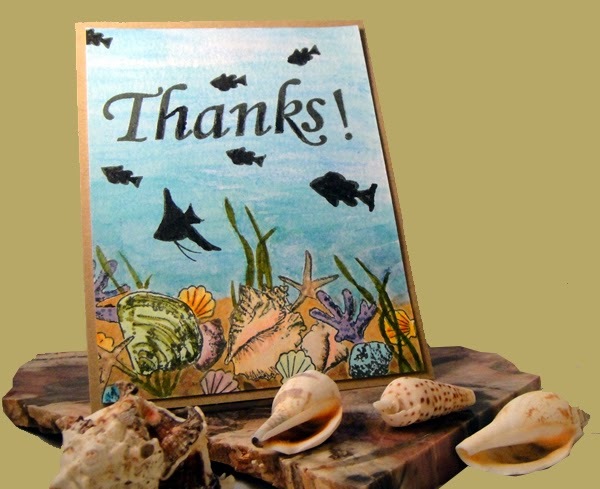 I used Sandy Beach stock. I scored at every half inch then used direct to paper with Antique Linen Distress ink. I also dabbed GinaK White over it in spots for a snow look. This an Anniversary card for a friend. 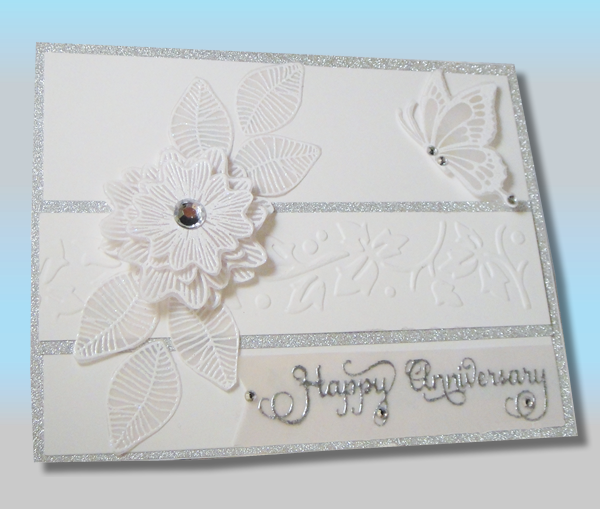 I used GinaK Pure Luxury heavy card stock, white glitter paper from DCWV and velu. The stamps are from GinaK Warm Spring Wishes. 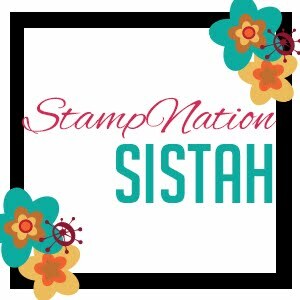 I stamped using GinaK White pigment ink and covered with a combo of Judikins glitter and Stampendous White embossing powder. 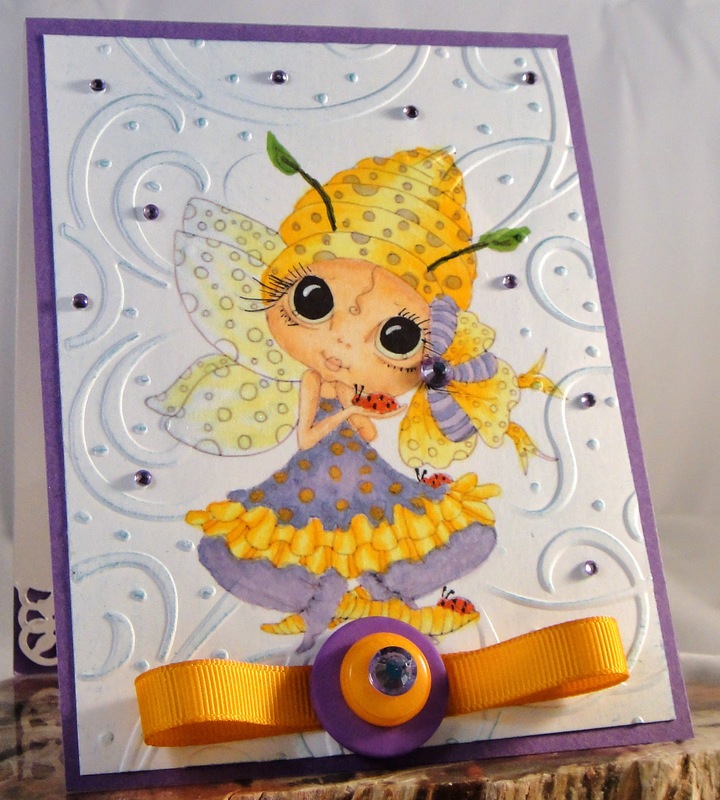 The sentiment from from Just Rite stamps and is Ranger Silver mixed with Judikins glitter. It took longer getting the right embossing powder mix than it did to fussy cut all those pieces LOL. This card is for a man so I couldn't bling it out. I did add a bit of Wink of Stella though to the large center conch shell. I did 2 layers of masks for the shells. The card is sitting on petrified wood from the Petrified forest in Arizona. I did the background with inktense pencils...first time using them. I didn't add enough water and was too streaky. I hated it, walked away and came back. I forgot once Inktense is dry they no longer react with water. I already had all the making done and stamped! So I tried water coloring over it with distress inks, that helped a lot. I did the sand with Inktense but didn't like it. I discovered I could color over with a Copic after dry. Yea, I salvaged the card!